I'm Adam, your friendly neighborhood music producer. I provide extremely high quality mixing and mastering services, along with media scoring composition, & custom instrumentals! 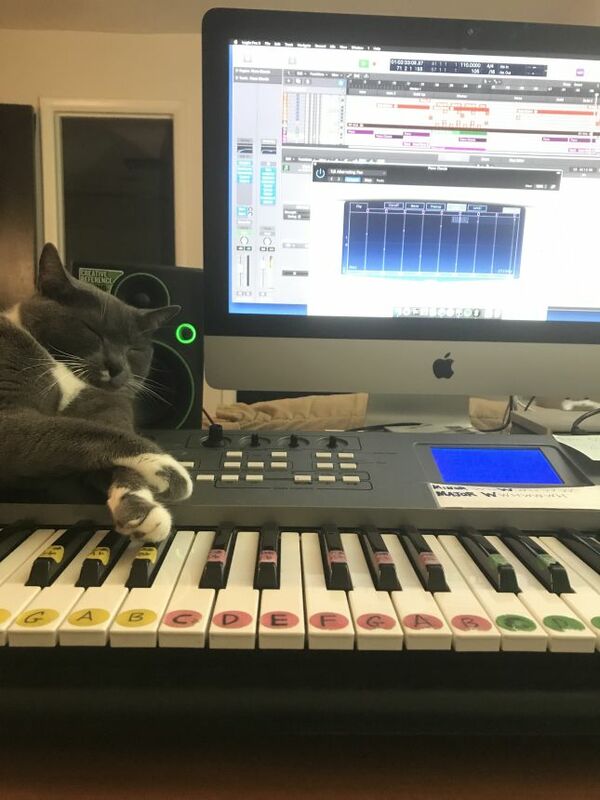 I also enjoy sharing with the client exactly what I'm doing to a mix in order to get it to a finished point, this way they will learn along the way and grow as well! A: Always give the first & last few seconds of the song a close listen to ensure there are no harsh cuts or fades. Double check these are clean and smooth, and also that the ending doesn't tail for too long. No one wants to hear 20 seconds of a reverb tail when a song ends! A: In a 2 month period I was able to create 50 (2-3 minute) instrumentals in a huge variety of styles and sign to a production music library. It was an amazing solo experience because of the deadline and also the challenge of working on a variety of styles in one project! A: Releasing singles to all platforms every month, along with remix contests and mixing/mastering work for some clients! A: Due to budget restrictions, I grew up learning everything in-the-box (digital), but also gained experience using analog gear. Personally I've grown into the digital world quite naturally, therefore the results of my work come out the same or better using digital-only processing. A: I absolutely love to create music or at least use my ears and skills to help others create the music they want to create! A: Most people think that music producers who work at home are starving artists, not making any money, and that there isn't much work or career opportunities in the field, but this is incorrect! A: I've been producing music for fun since 2008, but started getting more serious in 2012 and started spending more time mixing, writing, composing scores, signing with music libraries, and just developing skills while trying to also building a portfolio. In 2017 I decided to pursue a career as a solo EDM producer/artist under the name Muzikm4n, along with helping other musicians out through my services. A: Atmospheric but composition underneath to give the song a solid backbone. I've tried to take elements from newer producer/artists like Zedd, Illenium, and others, and combined their style with my favorite music growing up, 70's and 80's music to create my own musical style. A: The most common productions I work with are hip hop, EDM, and occasionally some singer-songwriter records. A: I am quickly able to turn nothing into something, going from a blank project to a full song idea very fast! A: I like to think the element I add to a song that not everyone adds is the ability to combine styles and influences into each song without anyone really noticing the individual influences for each part of the song. 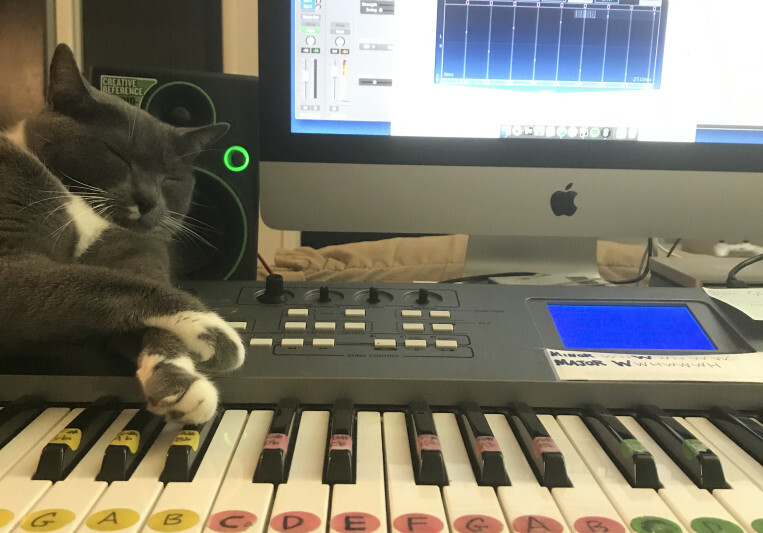 A: For a new song, I like to start with writing everything first on piano in the project, then expanding, arranging, sound design, and mixing is the fun part! For a mixing project, I organize and color code the project, then do a volume mix, then EQ/compression, then effects and final mix down For a film score, I begin with the director by discussing their vision, executing that vision to the best of my ability, then showing the director, rinse/repeat until the vision is fully brought to life in the eyes and ears of the director. A: Online Mixing and Mastering songs for artists, along with composing scores for short films. 20% off discount from my website prices for mixing and/or mastering service!